Life with Dylan: Dylan's Animal Adventures are now available - Come join the fun! 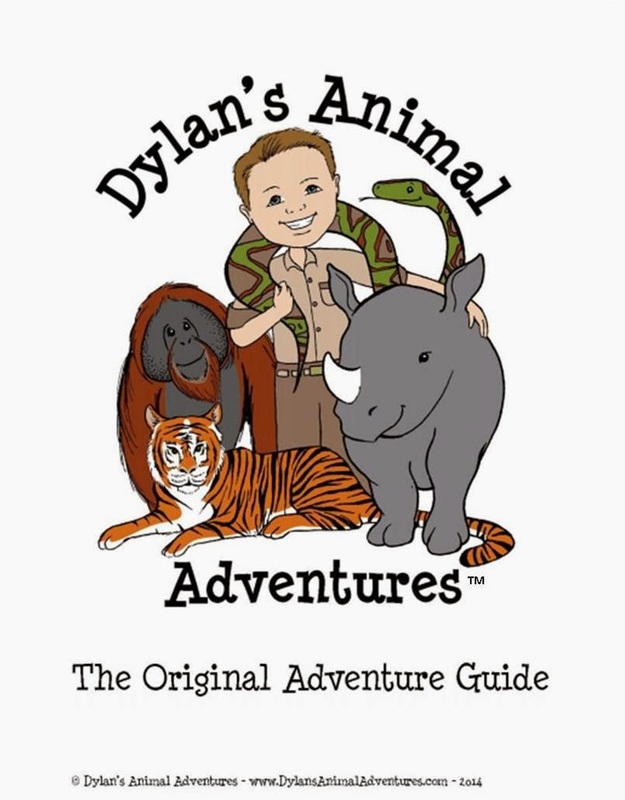 Dylan's Animal Adventures are now available - Come join the fun! What could be better than hosting your very own summer camp and teaching kids about saving endangered species? Well, for a 10-year-old boy who loves animals, not much ... unless you ask him if he wants to start his own business so that he can teach more kids. For Dylan, this was exactly what happened. For the last few months we have been busy planning, researching, writing, and creating. The result of our combined efforts ... Dylan's Animal Adventures. Dylan chooses the topic for each new booklet and then does the research so that only the most current information is shared. Michelle writes all the content and designs the adventure guides with kids in mind. Thanks to an amazing graphic artist, Steph Calvert of Hearts and Laserbeams, each adventure has new animal friends that you won't find anywhere else. Dylan's Animal Adventure Guides are a fun way to explore and learn more about endangered species, conservation, and making a difference. All adventure guides come with a set of coordinating coloring pages. Perfect for parents, grandparents, homeschooling parents, teachers, and anyone who just loves learning more about animals!